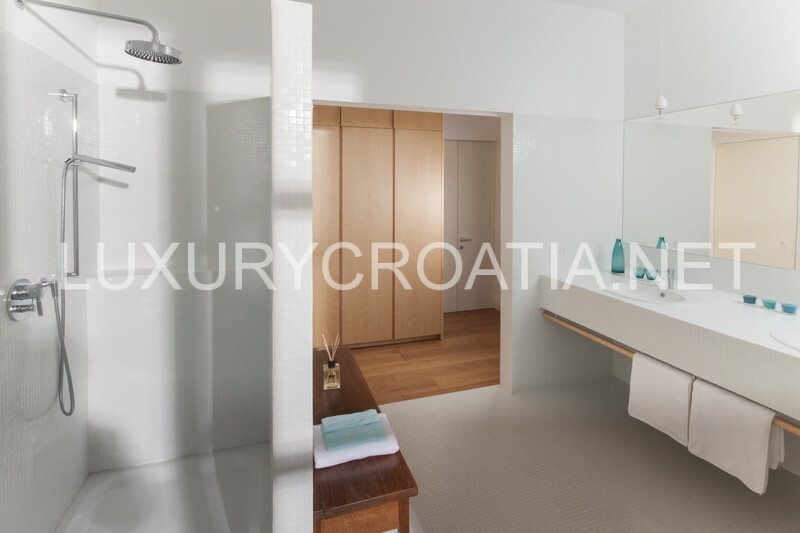 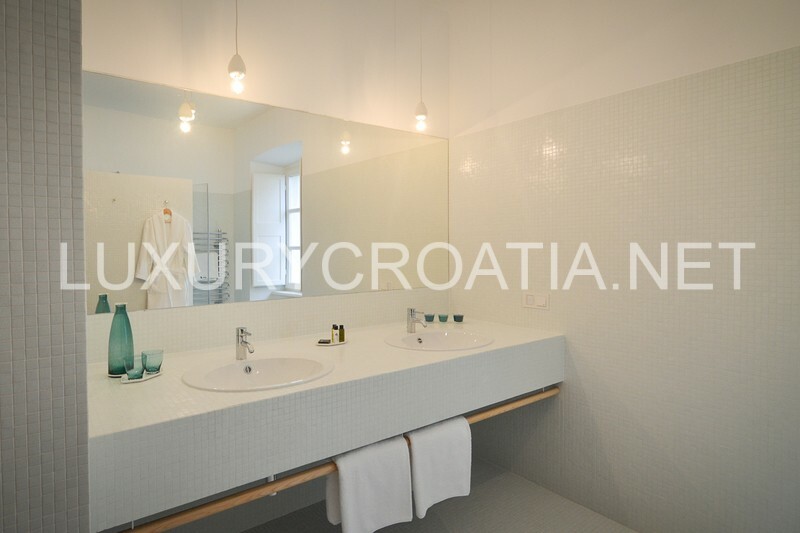 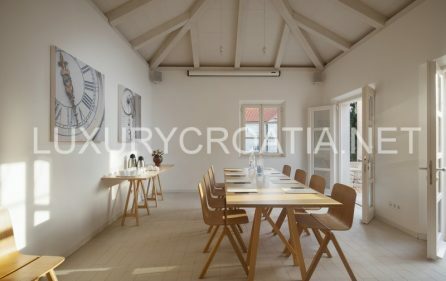 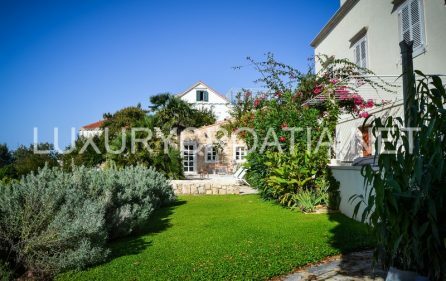 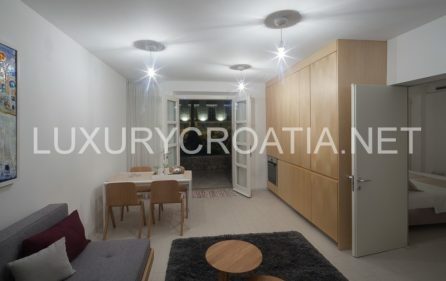 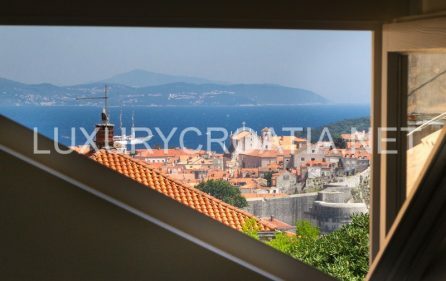 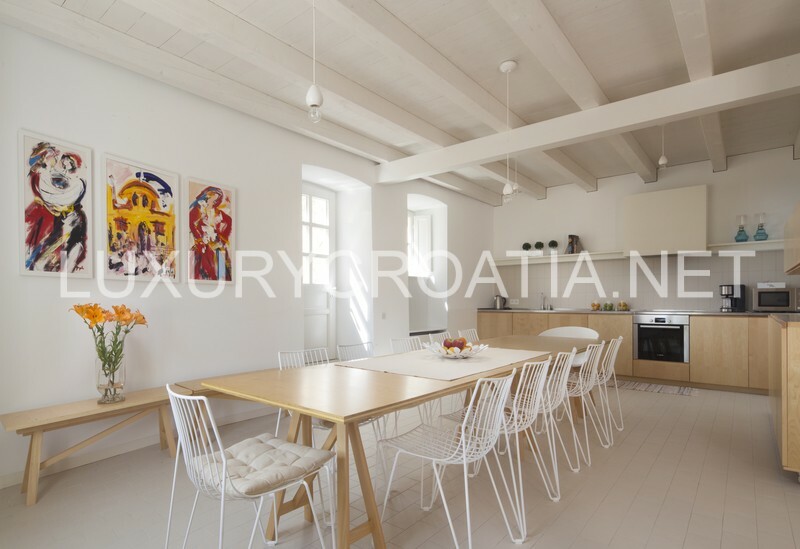 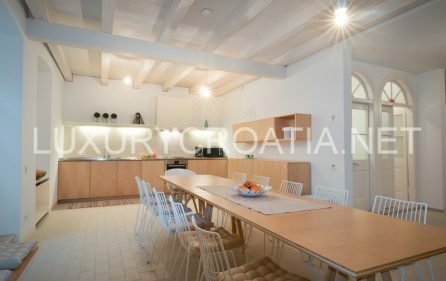 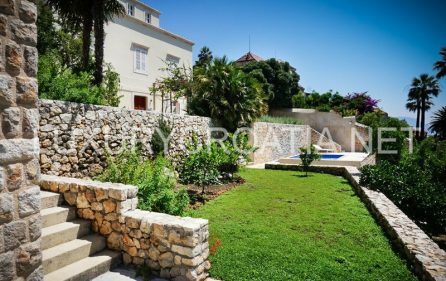 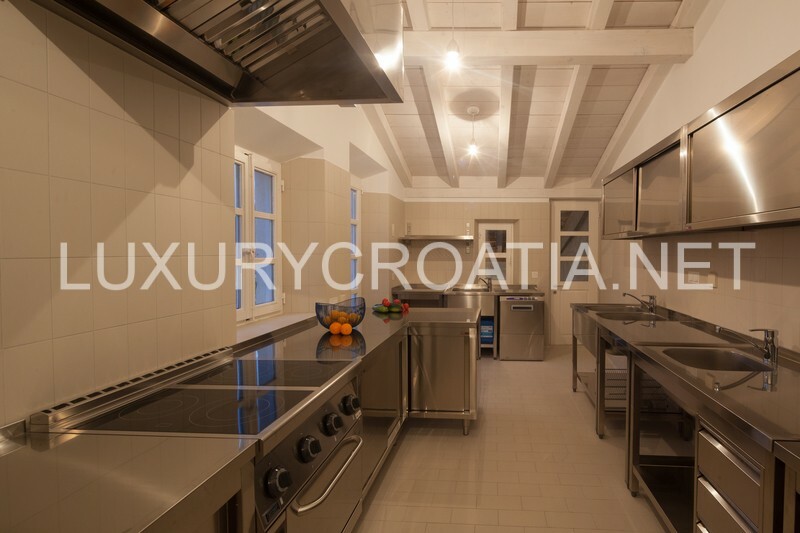 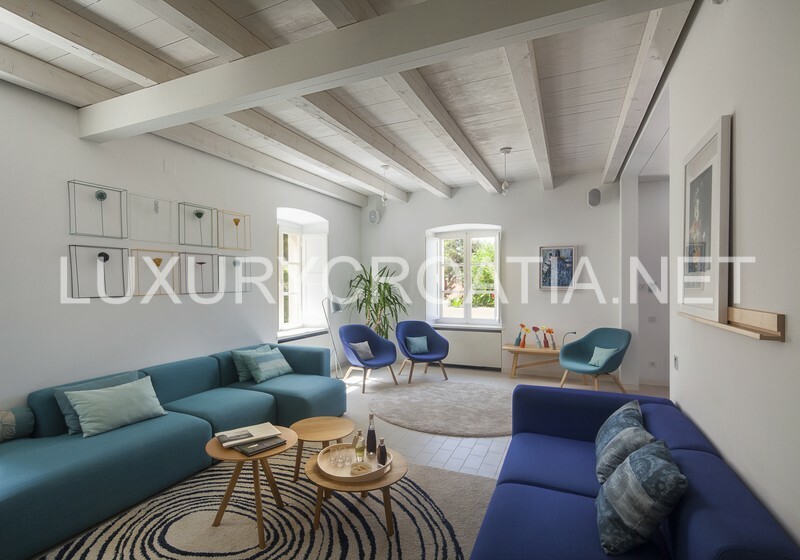 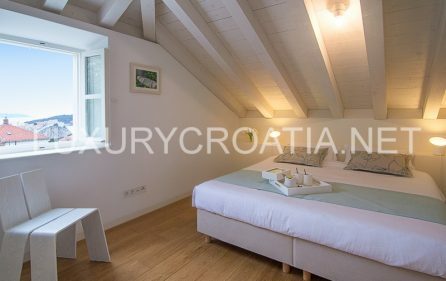 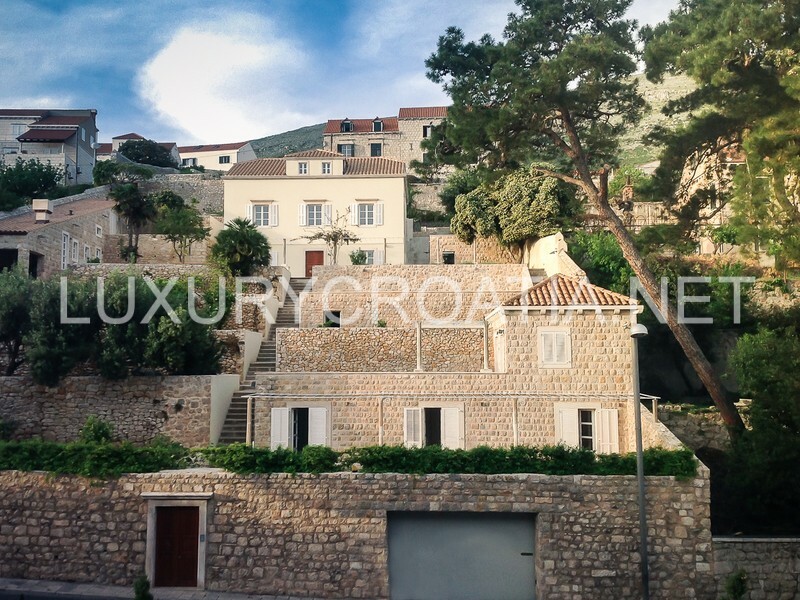 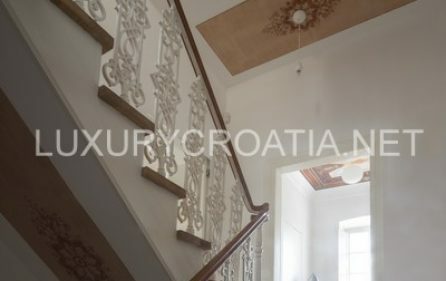 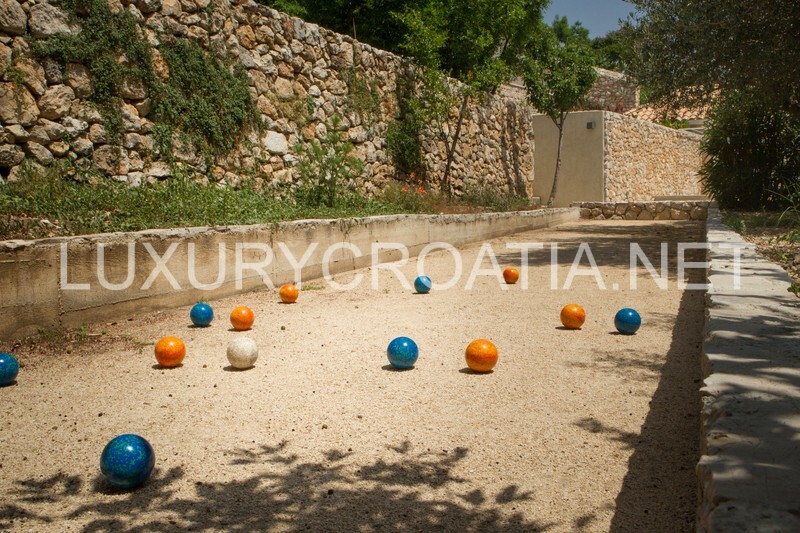 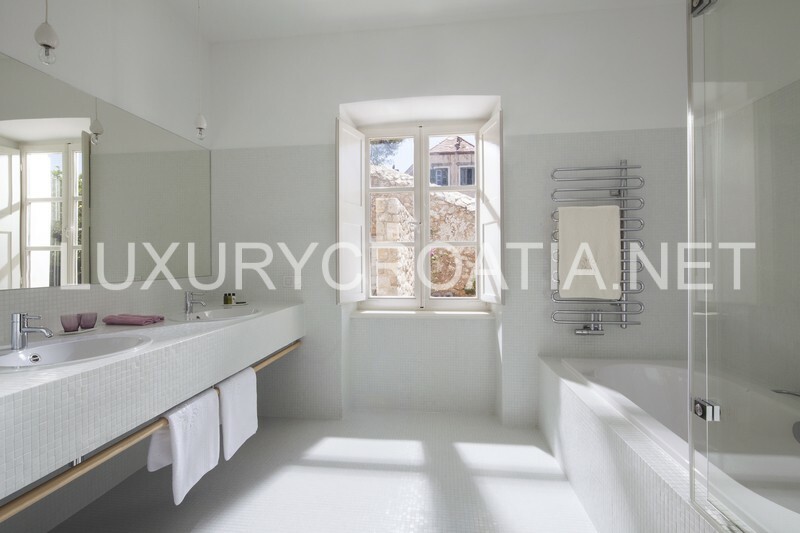 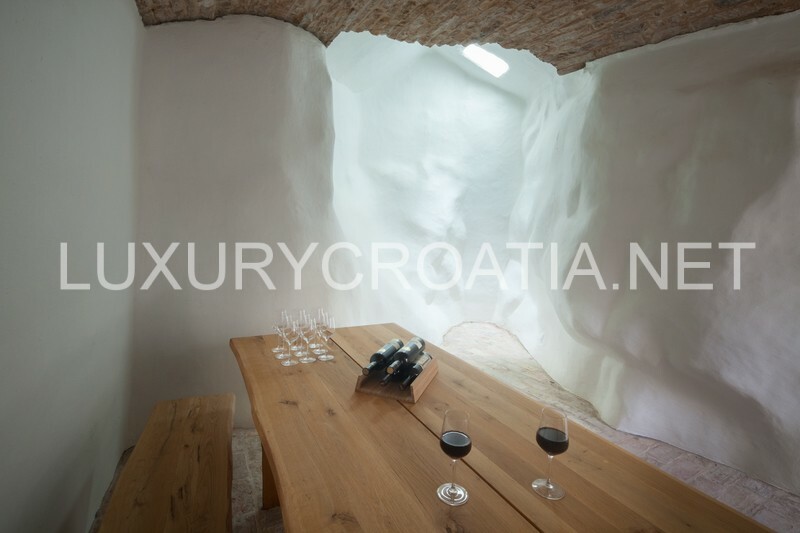 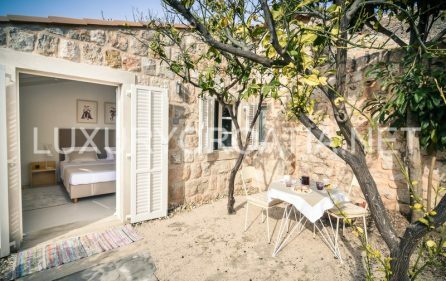 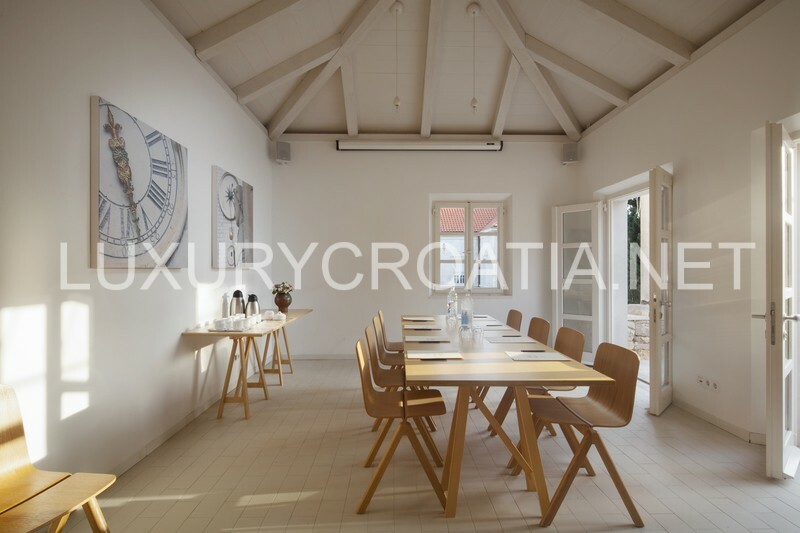 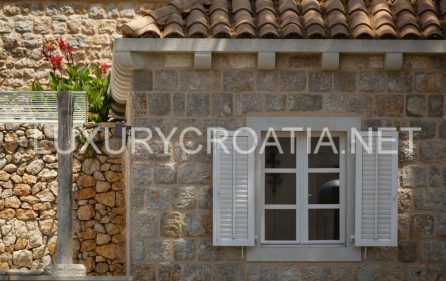 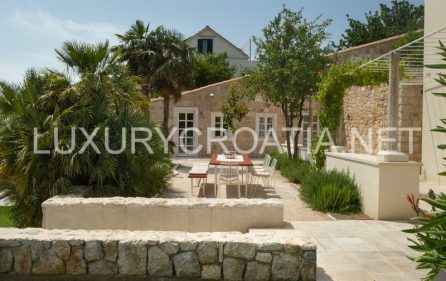 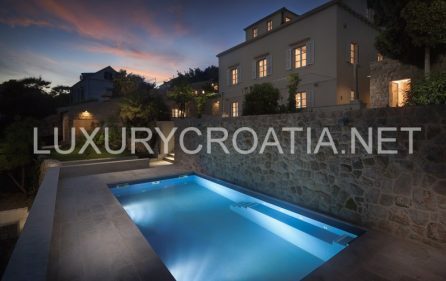 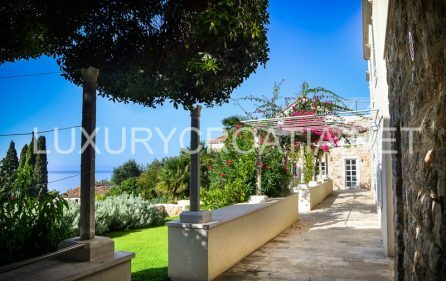 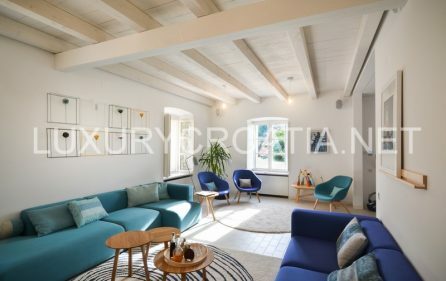 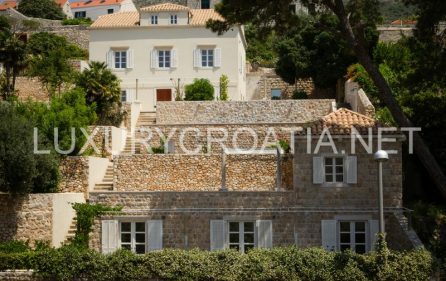 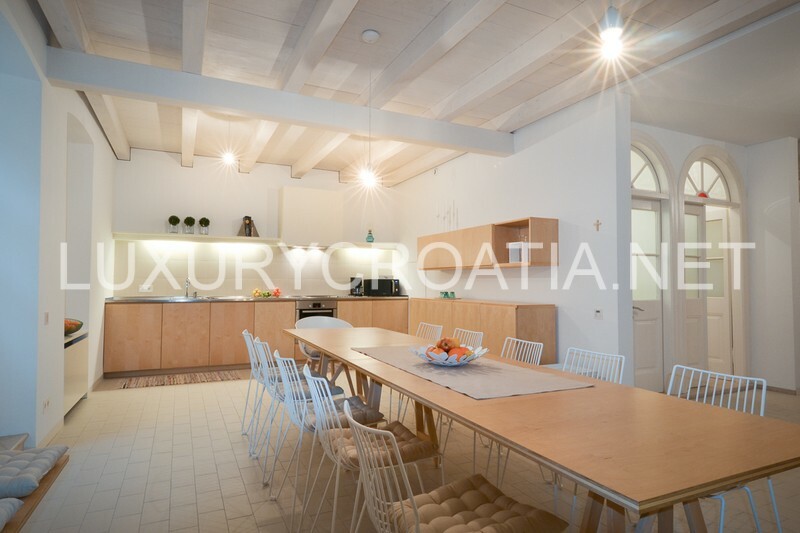 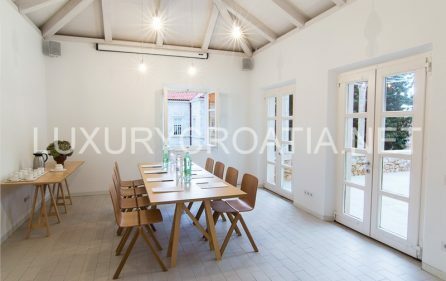 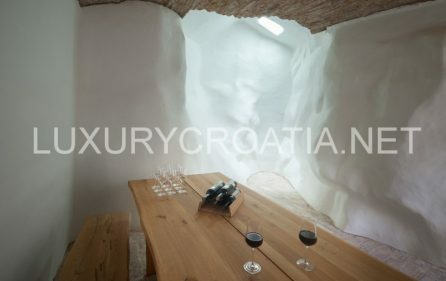 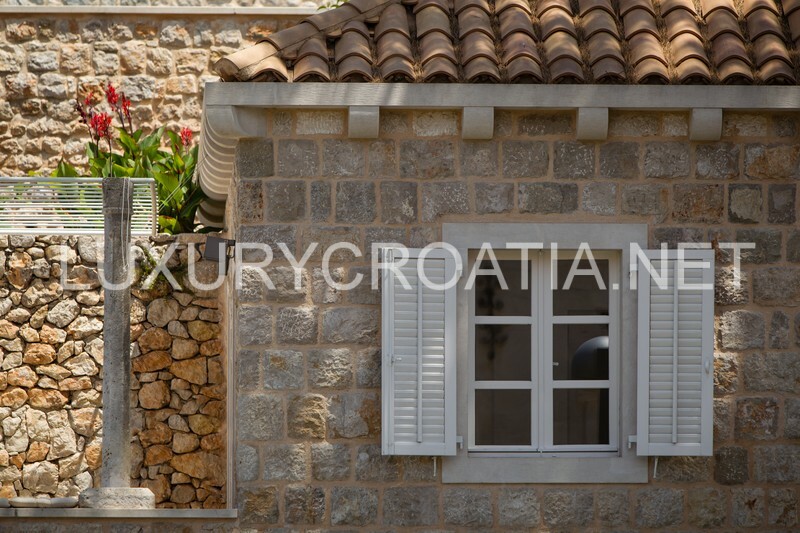 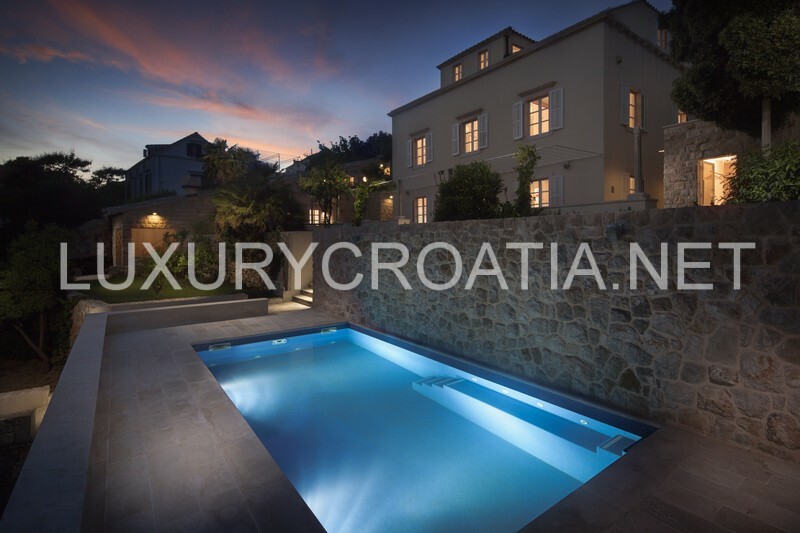 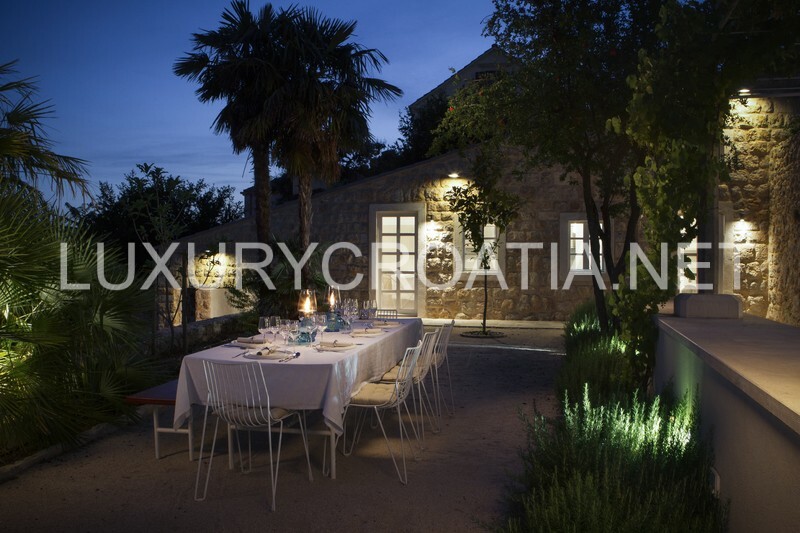 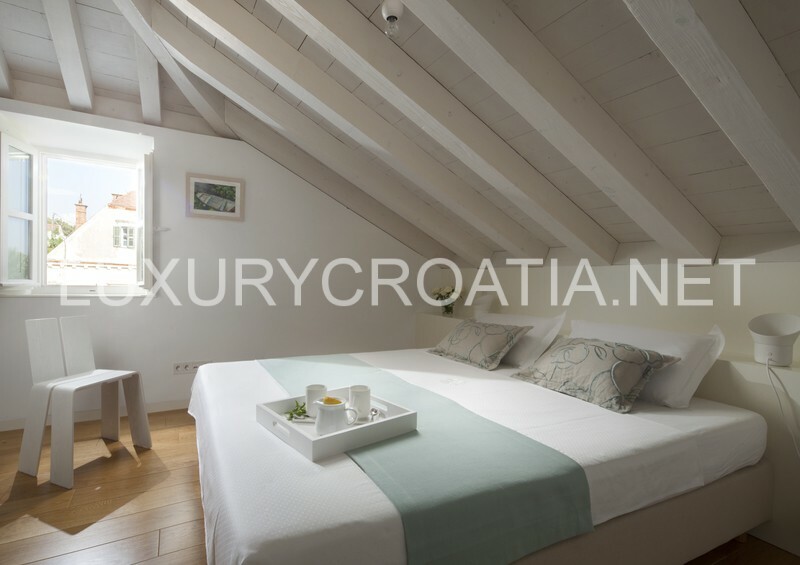 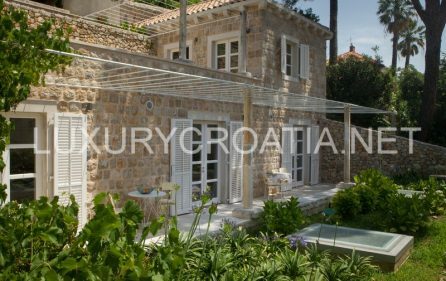 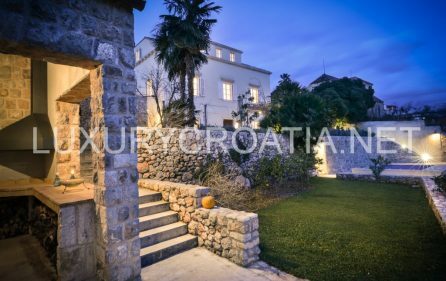 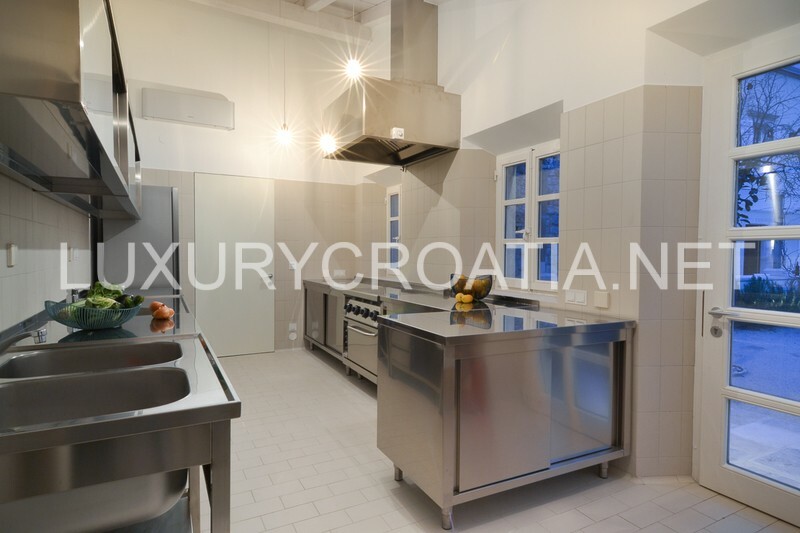 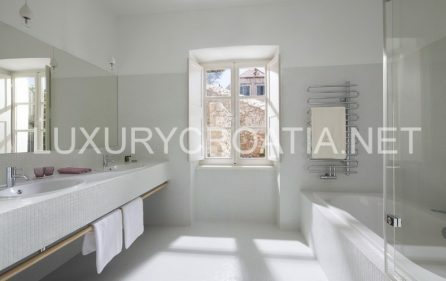 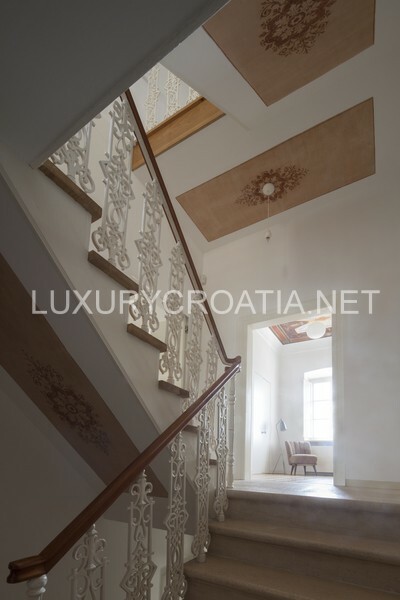 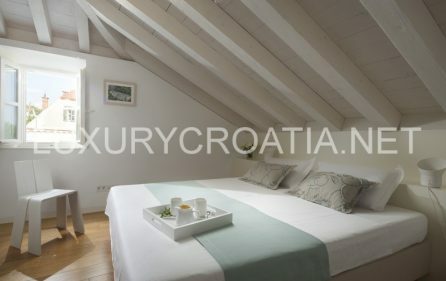 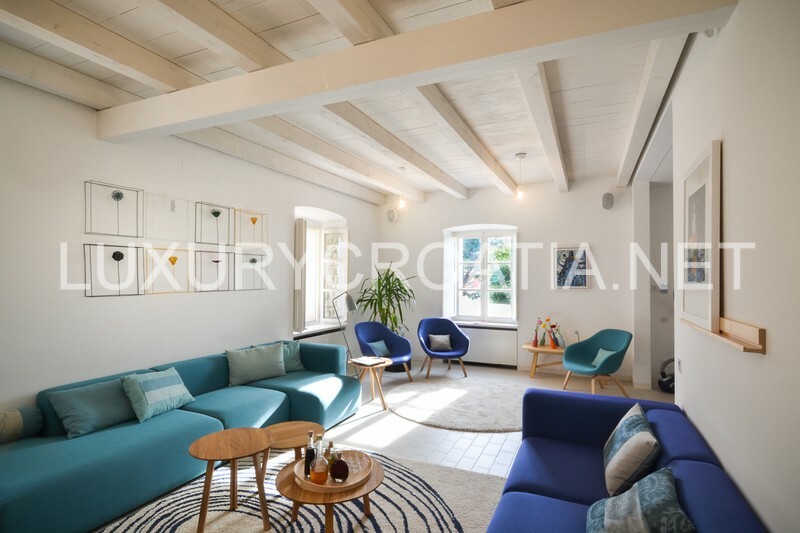 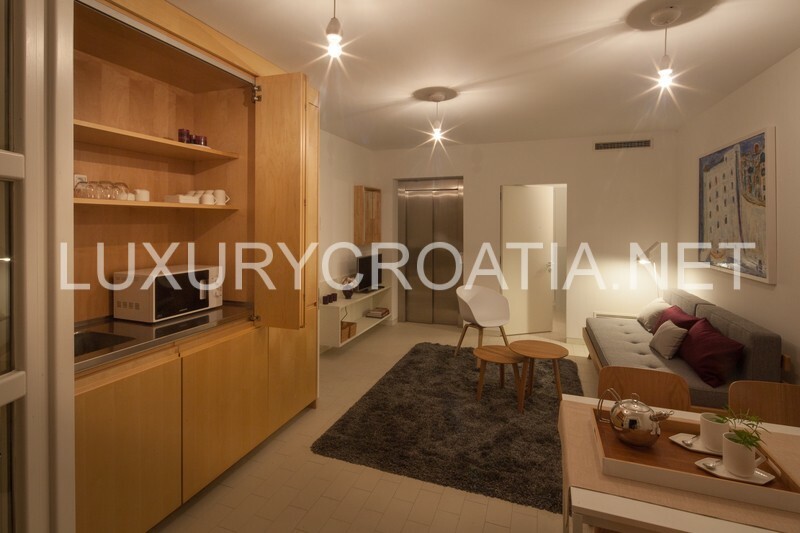 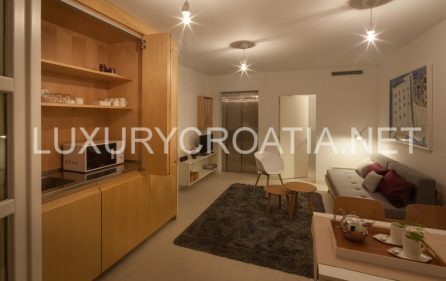 Large renovated old stone villa for rent, Dubrovnik – This magnificent 7 double bedroom villa is located only 300 m away from one of the most celebrated sites in Croatia – Dubrovnik Old City and Pile gate, in elite and private residential Dubrovnik neighborhood. 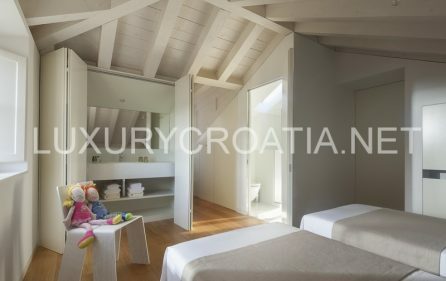 Villa can accommodate 14 guests and it is perfect for big families or groups of friends. 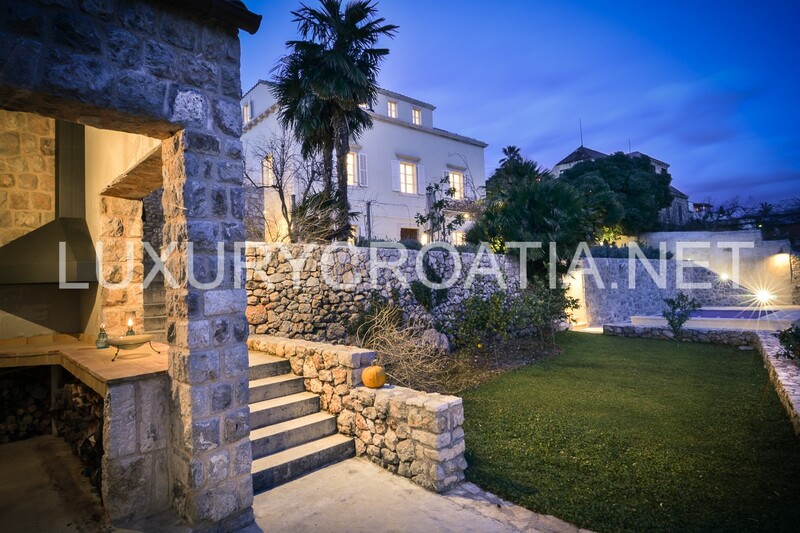 Built 300 years ago and after complete reconstruction during the past year, villa opened in summer 2015. 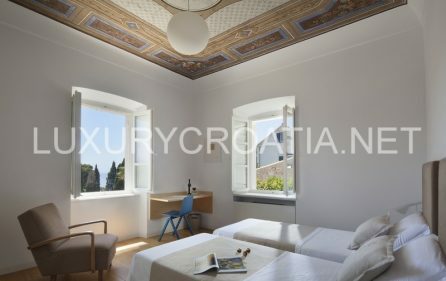 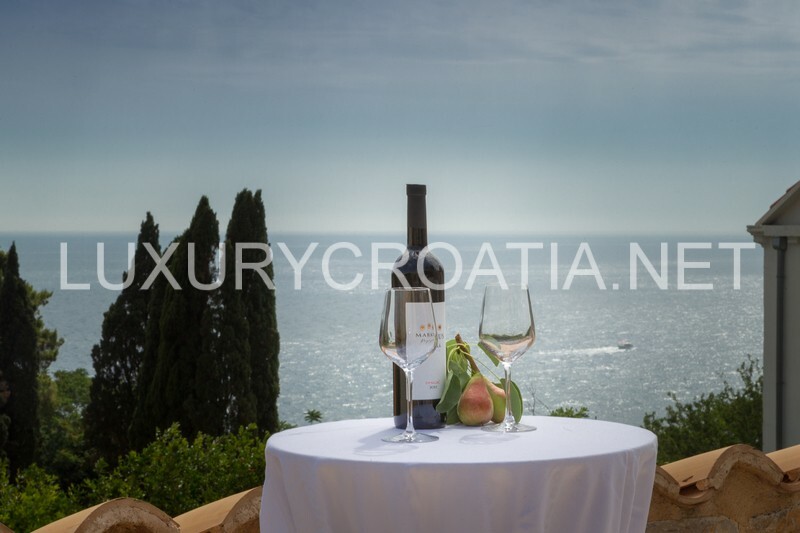 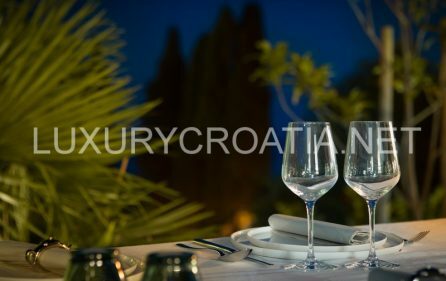 Breath-taking views to the Old City and the Adriatic Sea from the main building are just stunning. 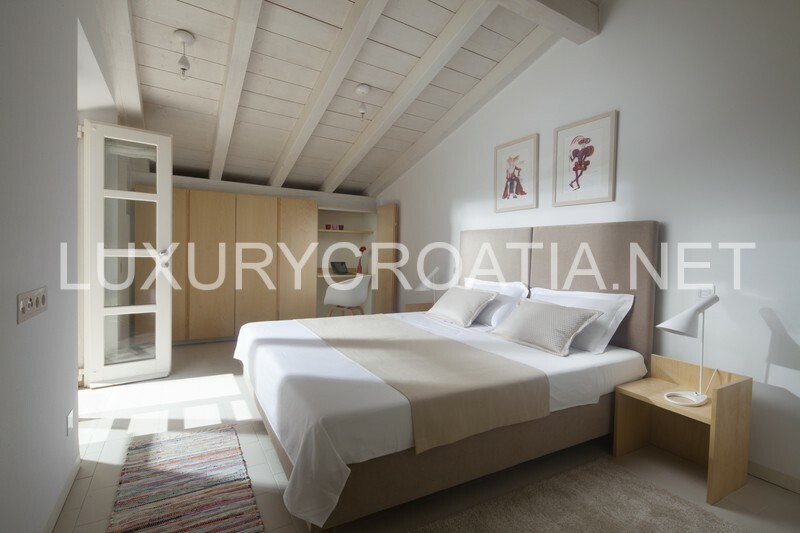 It is not a typical villa, 7 double bedrooms and available facilities are allocated on 6 different levels. 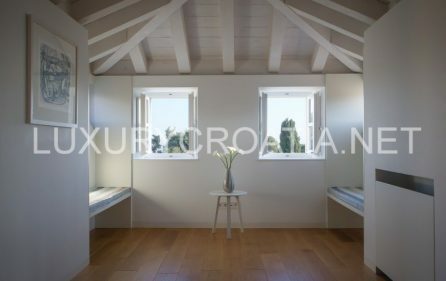 Rooms are modern and spacious. 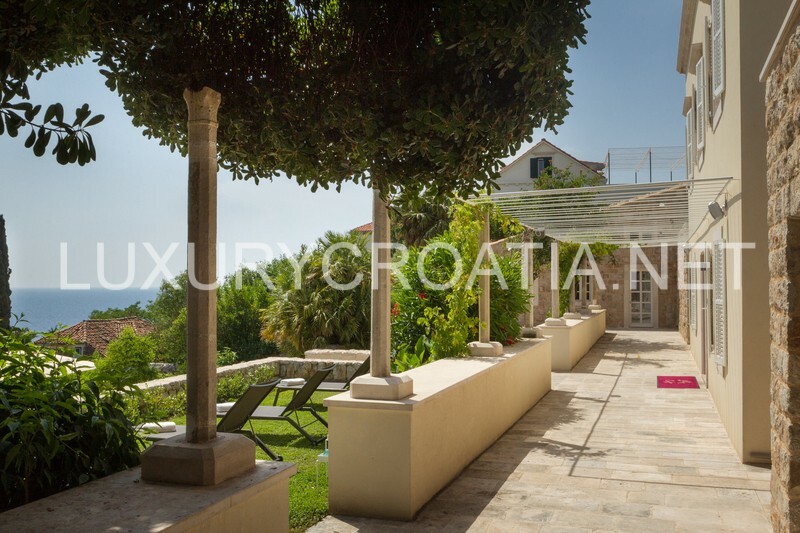 Surrounded by colorful gardens which are lovingly nurtured, it creates an oasis for relaxation. 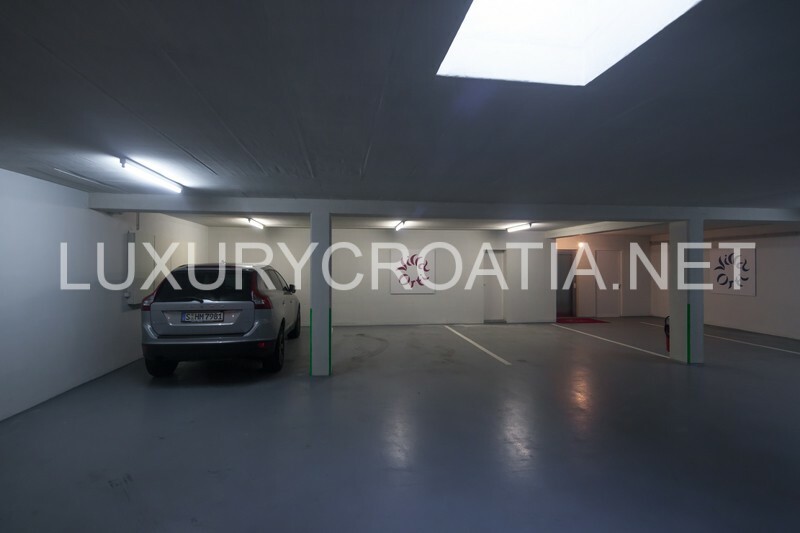 A big garage located next to the main villa entrance suitable for 4-5 cars is accessible from the main street. 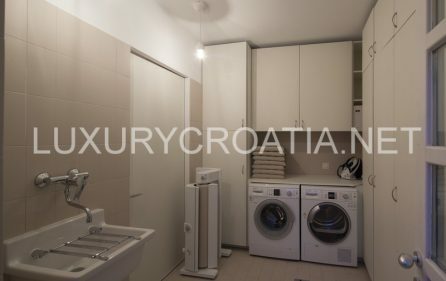 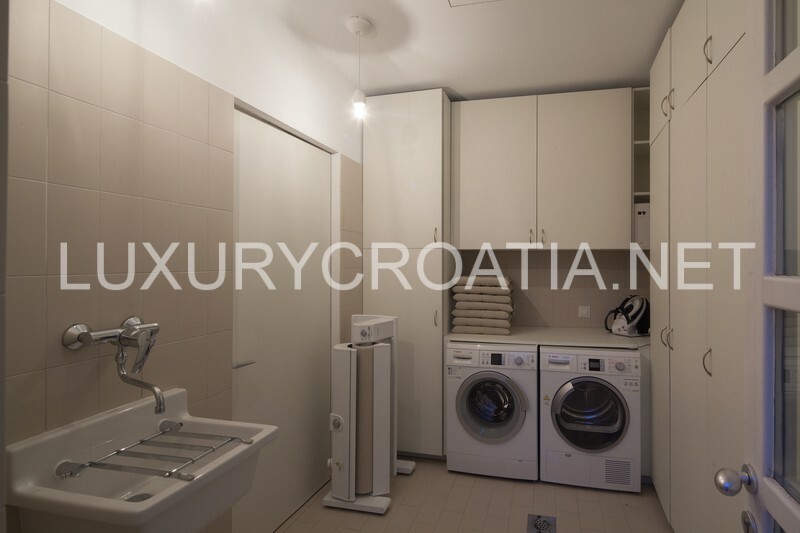 From the garage, you can take an elevator to the two 1st level apartments: studio apartment and 1 double bedroom apartment with an interconnection door. 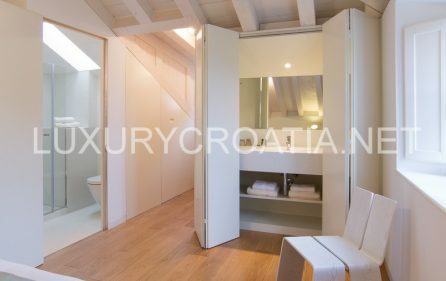 Further on the elevator will take you to the 2nd level where is a meeting room, equipped with screen and projector. 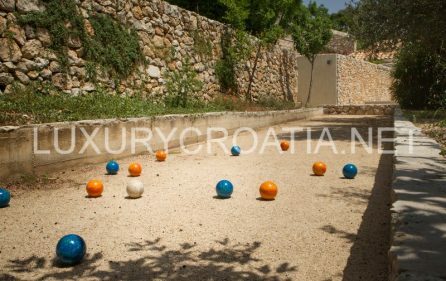 Right above the meeting room is an outdoor swimming pool and bocce field, next to its garden where domestic vegetable is grown. On the left side of the main building are a professional fully equipped kitchen and barbeque. 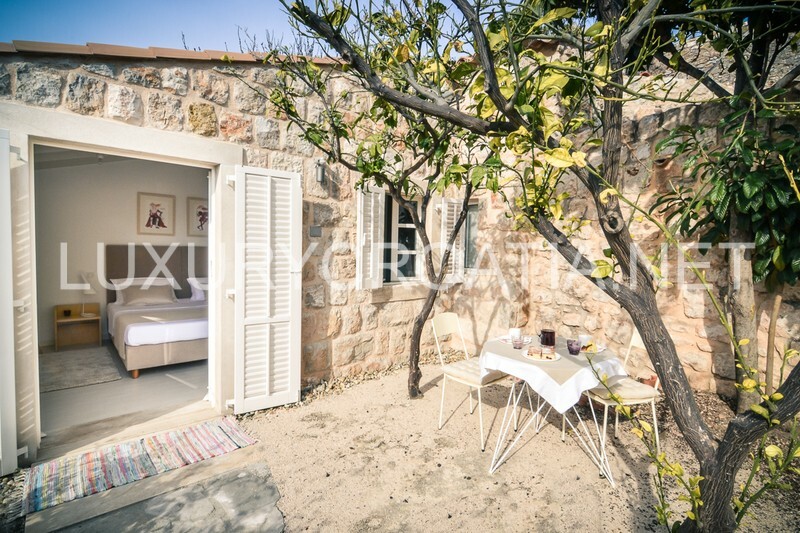 Above it separated double bedroom with en-suite bathroom is a great accommodation option for guests who want to be separated from the main group, enjoying peace and tranquillity. 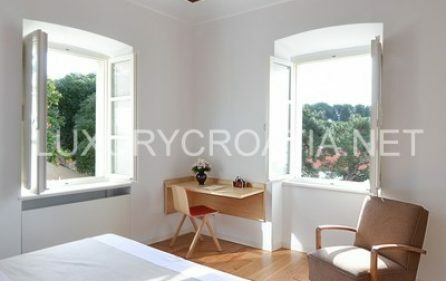 On the right side is a sauna with access from the garden. 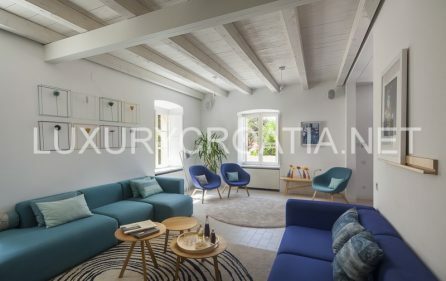 After stepping in the main building you will find yourself in the living area with a fully equipped modern kitchen on the left, and a living room on the right side. 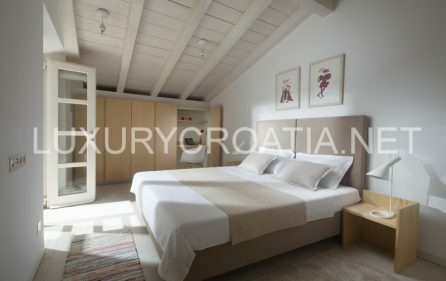 The main building has 4 bedrooms allocated on 2 floors with double beds which can be separated as twin beds. 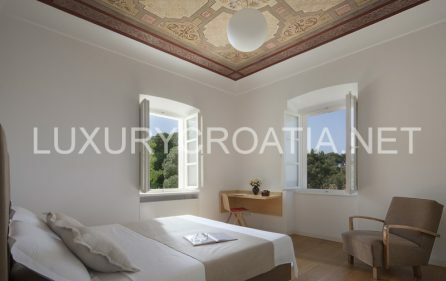 The contemporary and modern design of elegant bedrooms is enriched with ceiling drawings 300 hundred years old, revealing a long history of this villa. 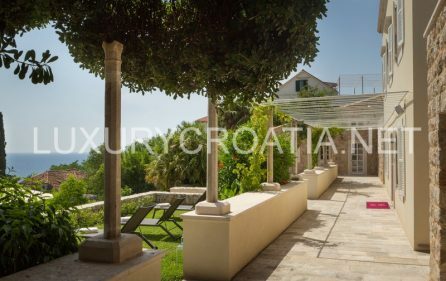 Villa has two entrances, second from the above path behind the villa is a good option when part of guests want to have privacy. 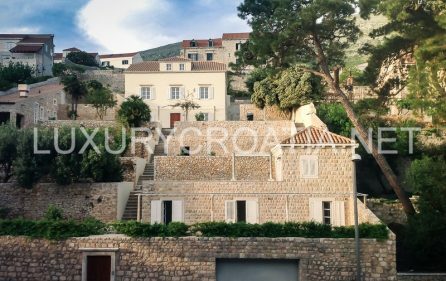 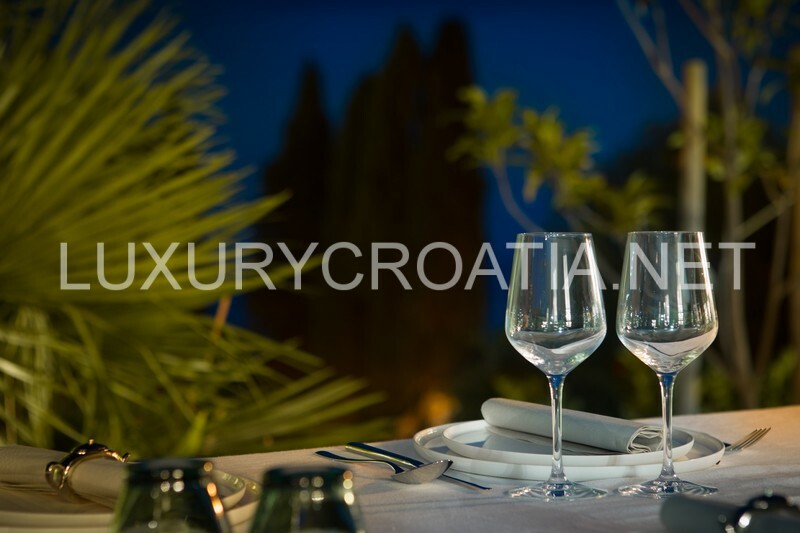 Many terraces around villa offer comfortable corners for each guest and at the same time delighting gorgeous views of the enchanting Dubrovnik and amazing Adriatic sea. 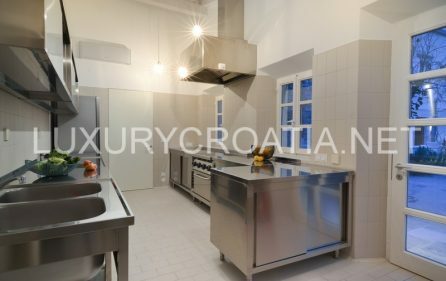 Individually controlled A/C and heating, SAT TV, Stereo system, DVD Player, fully equipped kitchen: oven, stove, fridge/ freezer, microwave, coffee maker, mixer, toaster, kettle. PRICE INCLUDES: Tourist tax, welcome package, daily cleaning up to 2 hours, swimming pool maintenance, internet access, parking place, house manager at guests disposal, concierge.